Did you know you could dip the flowers in water to rejuvenate them? You do now! While hydrangeas might not top many florists’ lists of sturdy, long-lasting vase flowers, there’s no denying these blooms make a stunning display. To keep your hydrangeas bright and beautiful for as long as possible, it’s best to know a thing or two about them (hint: they’re thirsty!). Here, florist Nic Faitos, senior partner at Starbright Floral Design in New York, explains. Buy them fresh. 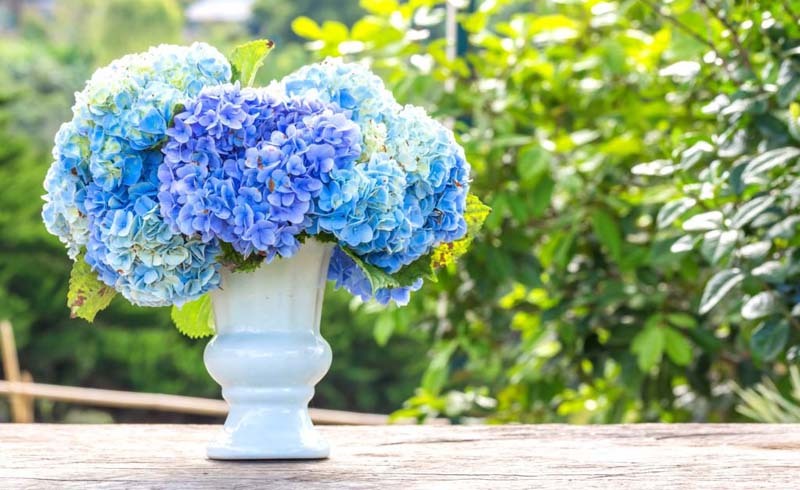 In order to get the most bang for your buck (or the longest run out of your garden flowers), you’ll want to make sure you’re starting with truly fresh hydrangeas. Look around for any browned edges or collapsing flowers, and make sure the stems are submerged in fresh water. If you’re cutting the flowers yourself, do it in the morning, and place them straight into a bucket of water. Similarly, if you’re buying the flowers from a farmer’s market or florist, keep a bucket of water in your car to place them in for the trip. Inspect the stems. “The name hydrangea includes the word water,” says Faitos. “These flowers like to be hydrated.” That said, expect to change the vase water at least once a day. If you see the flowers are not drinking—meaning the water in the vase isn’t going down—you’ll want to give the stems a fresh cut. “It means the stem is clogged,” says Faitos. Be sure to recut at a 45-degree angle. Add extra water. Although hydrangeas will get their main drink of water through their stems, you can also apply water directly to their petals. Simply fill a spray bottle with water, and give the flowers a spritz once a day. Resuscitate them in no time. 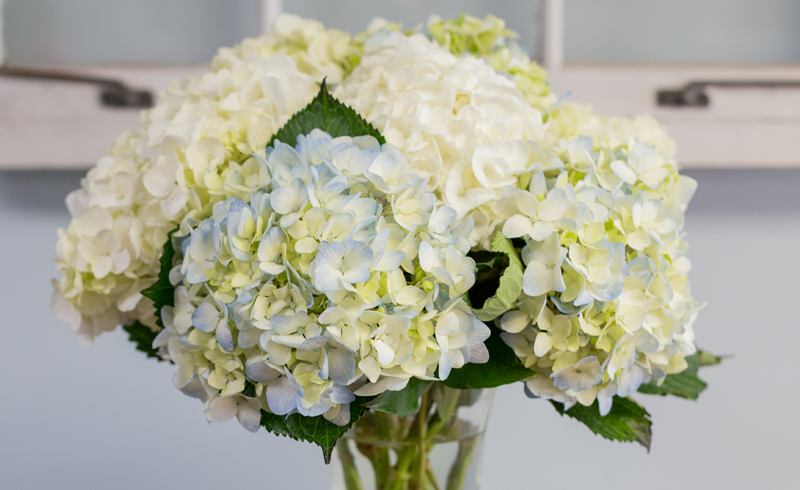 If you notice your hydrangeas looking a little dull or droopy, it might be time for the florist’s version of an emergency IV. “Fill a bowl with room temperature water and dunk the flowers in upside-down,” suggests Faitos. “Leave them like that for five minutes, take them out, and return them to the vase.” The boost of water should revive the blooms.